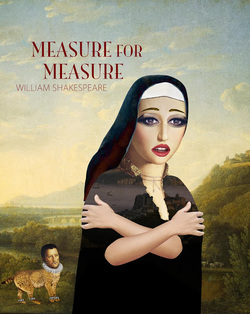 We play the ‘Shakespearean way’!– telling stories through the word and the actor, complemented by costumes, music and a space that is influenced by the playhouses Shakespeare wrote for; which focuses the action in a way that can fully immerse the audience in the story and language of the play. This makes for a riveting, personal experience for each audience member and strips the common fear of Shakespeare right out of you. We are interested in being truthful to the original text and exploring ways to give the audience a unique experience of the plays that marries the traditions of the Elizabethan era, with modern 21st century innovation. We work with extreme intimacy, and surrounding our audience with the play, creating an inclusive, surround sound, lively theatrical experience. We have discovered that when working in this type of space, the play becomes easier to understand, access, and subsequently more exciting for the audience.